Well as you may have seen, it’s been a bit busy recently! The first two sessions in our Winter Wellness collection happened last week! The first was with John Armitage, who taught the Introductory Mindfulness. We received good feedback from all participants and we’re really pleased they enjoyed it! 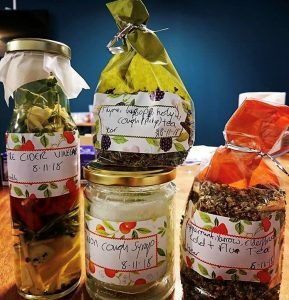 The second was the Natural Winter Remedies session taught by Hannah Sylvester, where again participants all gave really good feedback, and even left with a few goodies and tips for making their own. And now as we’re gearing up for the final 2 wellness sessions of the year, being taught again by John and Hannah in case you missed them, we also look forward to the big festivities this December!